There may be a heatwave across Europe, but this week winter definitely arrived for the IKEA team. Monday morning, as we were sipping on our strong cup of coffee ready to start our day, we spotted a nugget of information that kicked off the week with a bang: The Game of Thrones costume designer, Michele Clapton revealed that IKEA rugs were used to make the capes of Jon Snow and the Night’s Watch. So it was that the IKEA team quickly drafted up a quote and developed an idea which we pulled off within a couple of hours. 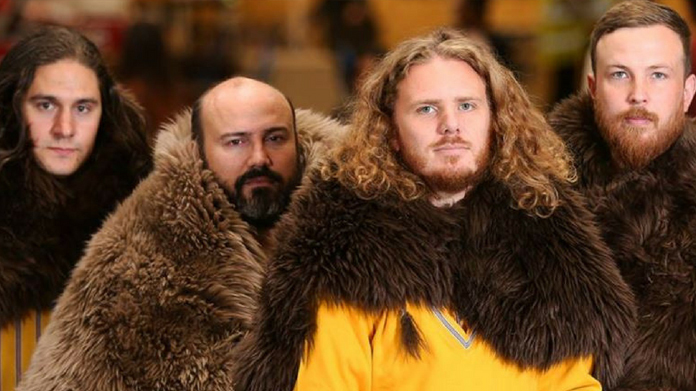 We worked with the IKEA team to find co-workers in the Wembley store to re-create the “Game of Thrones look” by wrapping LUDDE and SKOLD IKEA rugs round them in homage to the show. Together with a quick media alert, we sold in the images to media and worked with the social team to upload them onto Twitter and Facebook channels, creating a lot of excitement and engagement ahead of Monday night’s Game of Thrones episode. We secured coverage across Daily Mail (twice), Evening Standard, the Independent, the iPaper, The Sun, METRO, Daily Star and dozens more around the world besides. It piqued The Drum‘s interest, so you can read all about the work there too. And it didn’t stop there … customers, inspired by IKEA co-workers Game of Thrones look, have now gone ‘rug-crazy’ on social media as they’ve started wrapping themselves in the cosy warm IKEA collection to get the look. The week has culminated in Jeremy Kyle wearing an IKEA rug whilst presenting Good Morning Britain talking about the story. That, in turn, saw yet more coverage with the likes of the Daily Mirror and The Sun picking up on the story. Most important, the whole thing has had a commercial impact: it turns out that online searches for the rugs have soared by 775% on the IKEA website since the news broke. Result!